A zombie outbreak has brought the world to its knees. Now only survival lives on as the remnants of humanity endure this hell on earth by any means necessary. You play Randall Wayne, a father searching for his family in an apocalyptic Seattle in the year 1986. Separated from your group, you must search the streets while avoiding the 'shadows', the undead walking remains of humankind. Originally launched in 2012 on XBLA and shortly after on Steam, Deadlight was praised for its art direction and gritty, mature, atmospheric depiction of a zombie apocalypse that broke the mould. Through 2D platforming Randall will explore a destroyed Seattle, overcoming environmental hazards and solving puzzles while staying out of reach from the 'shadows'. Ammunition and weapons are scarce in Deadlight, so you must decide whether to fight back using weapons, or utilise your environment to sneak past and hide from the undead. Combat isn't always the answer. Take full advantage of your surroundings to lure shadows into traps and move past undetected. Deadlight: Director's Cut enhances the original Deadlight experience in every way. Running at full 1080p on all platforms and making its Sony debut, the Director's Cut also boasts enhanced controls with new animations, and additional game modes including the 'Nightmare' difficulty mode and new 'Survival Arena'. Discover the art of Deadlight in the digital art book and watch the original developer diary series to learn even more about Deadlight. Running at 1080p on all platforms, with superior controls and new animations, this is how survival was meant to look. Explore the gorgeous art of Deadlight in the Deadlight: Director's Cut digital art book accessed in-game! Much better than anticipated and still playing it though this is good if you like puzzles, platform games and zombies. If you are old enough to remember similar to Prince of Persia. 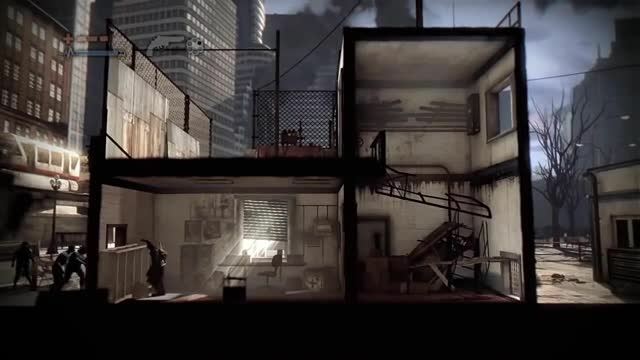 2D perspective with excellent background artwork, each area must be traversed without getting killed by zombies. Was thinking when I got it that it might only be a few hours of childish fun though much better than anticipated and so far definitely recommended for anyone who likes to think whilst gaming, not just smashing buttons.